Dustless Bodywork at V8 Speed & Resto Shop? oestek created the topic: Dustless Bodywork at V8 Speed & Resto Shop? Jeff is sanding a Chevrolet trunk lid in our body shop. Notice anything interesting? The green hose is a combination compressed air power source and a vacuum hose. The sander is a Festool unit that inhales dust through the sander, keeping the technician safe, and the shop environment and customer cars clean. The dust is captured in a HEPA filter bag within the unit. 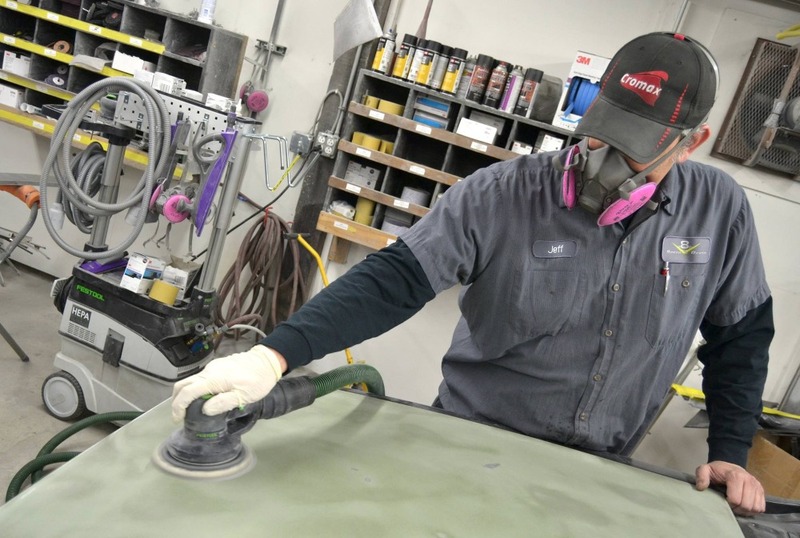 It also allows the 3M abrasive sanding discs to stay clean and last longer. Nearly dust-free bodywork, whoda thought? #SafetyFirst #NewTechForOldCars #CaringForCustomerCars #V8SpeedShop — at V8 Speed & Resto Shop.